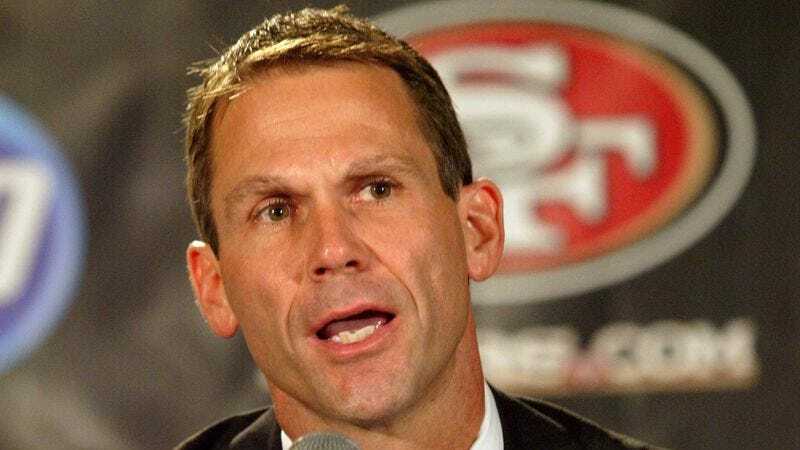 SAN FRANCISCO—San Francisco's newly minted general manager, former scout Trent Baalke, asked the NFL head office for clarification on a point of order Monday over whether the team is required to exchange its draft picks for a football player. "Our roster has plenty of guys on it, so I believe the franchise should look to address other needs through the draft, like for instance we don't have a trampoline or a pontoon boat," said Baalke, who said he would consider trading the seventh pick in the first round to any team who could offer him a set of beanbag chairs. "If we have to get an athlete, I'm thinking maybe a power forward. We don't have one of those right now." NFL commissioner Roger Goodell is expected to deny the request, saying the last time he allowed San Francisco to use a draft pick for non-football player purposes they wasted them on Utah's Alex Smith.